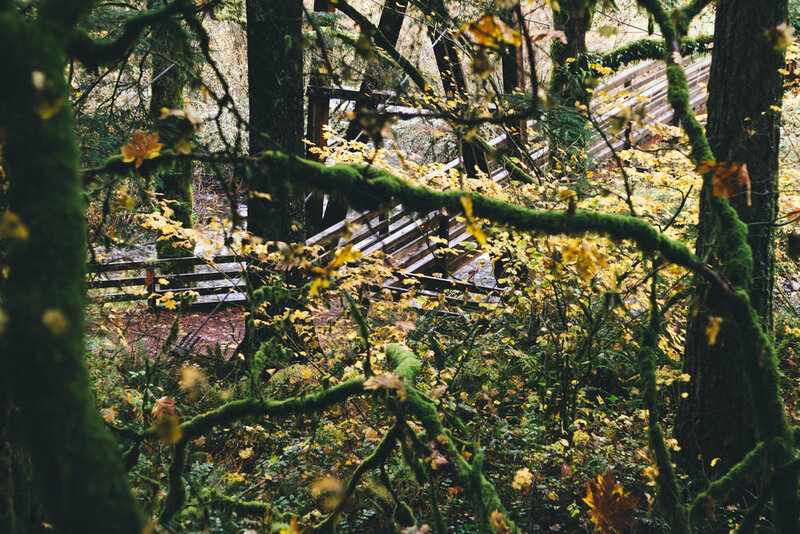 Fall in the pacific northwest is truly breathtaking. 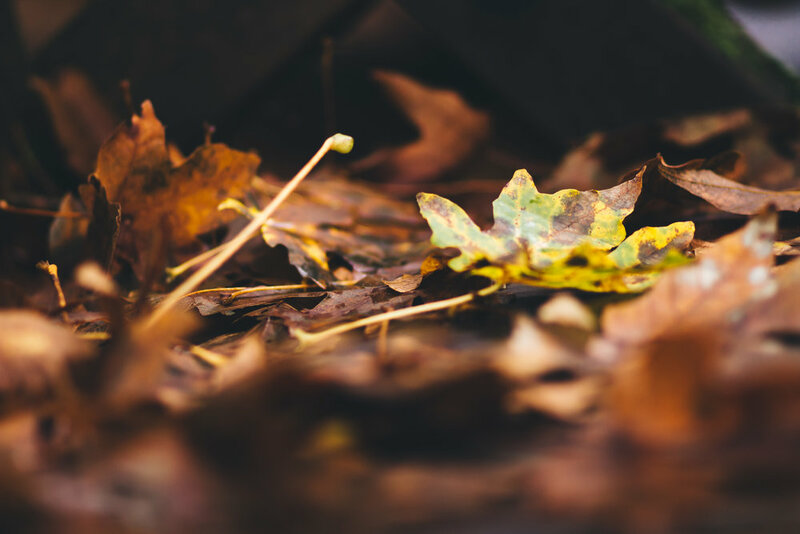 You can get lost in a sea of vivid autumn colors, walk on crisp, just-fallen leaves, and take in the sights, sounds, and smells all around you. 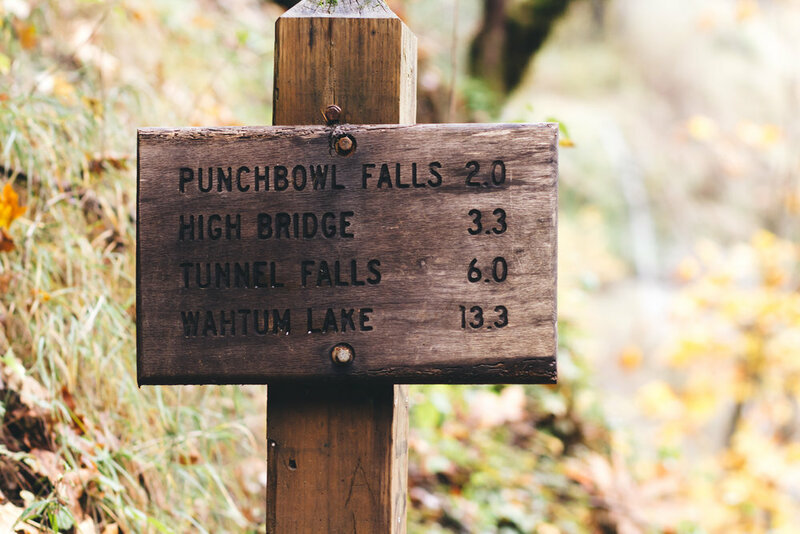 If you love to hike and spend time outdoors (which feels like it's pretty much a requirement of PNW living), the Columbia River Gorge is a treasure this time of year. 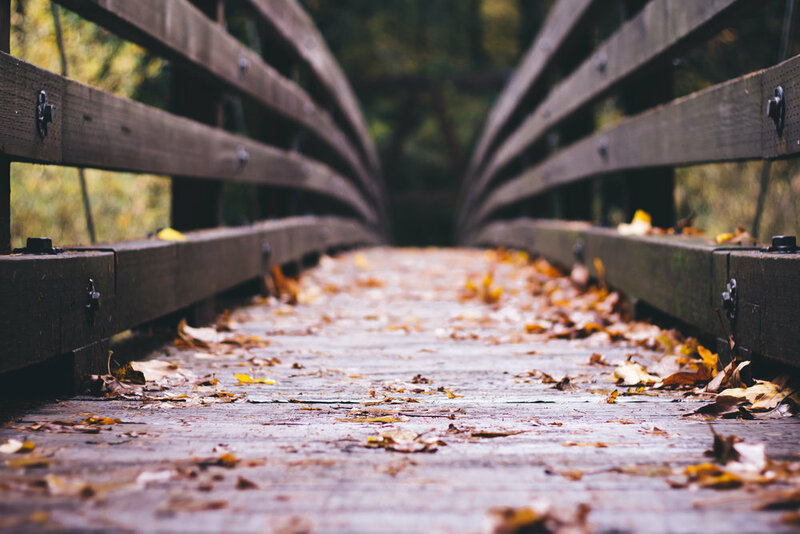 Every trail showcases the changing seasons and gives you a chance to connect with nature around you. 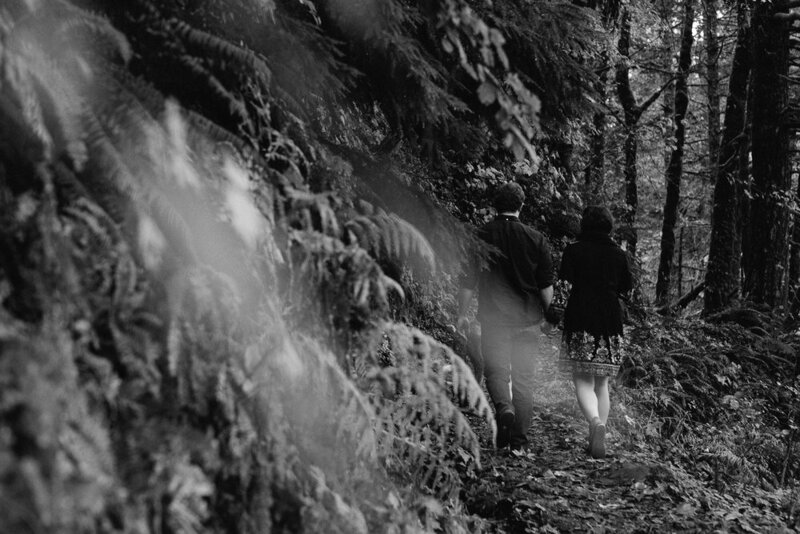 It's an especially perfect time of year for a Columbia River Gorge Engagement Session! 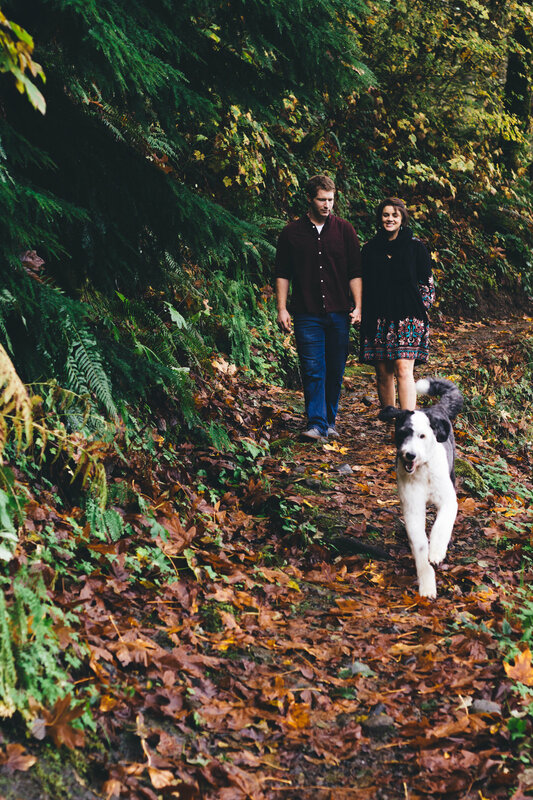 Claire and Bennett love to hike and spend time outside together, with their sweet Sheepadoodle Trek, who is just as excited to go out on an adventure. 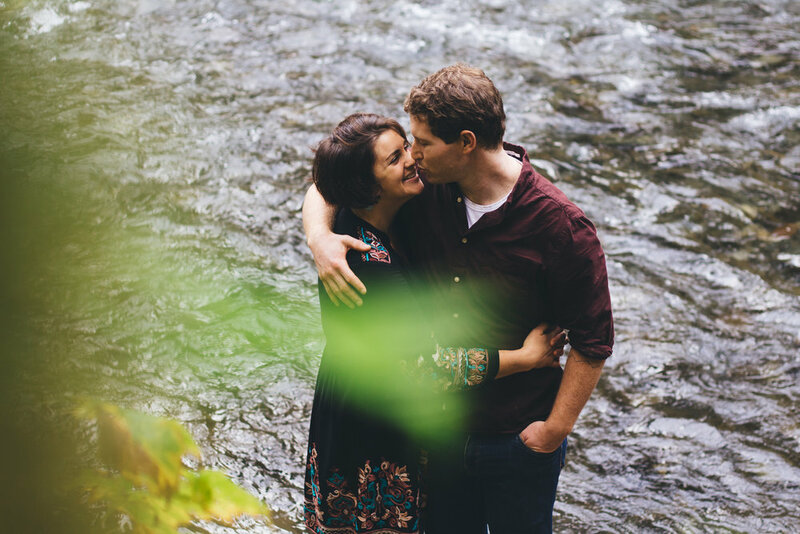 As Portland, Oregon Engagement & Wedding Photographers, we love how a big part of our job is spending time with such cool people in really unique places, and this Columbia River Gorge Engagement Session was no exception! 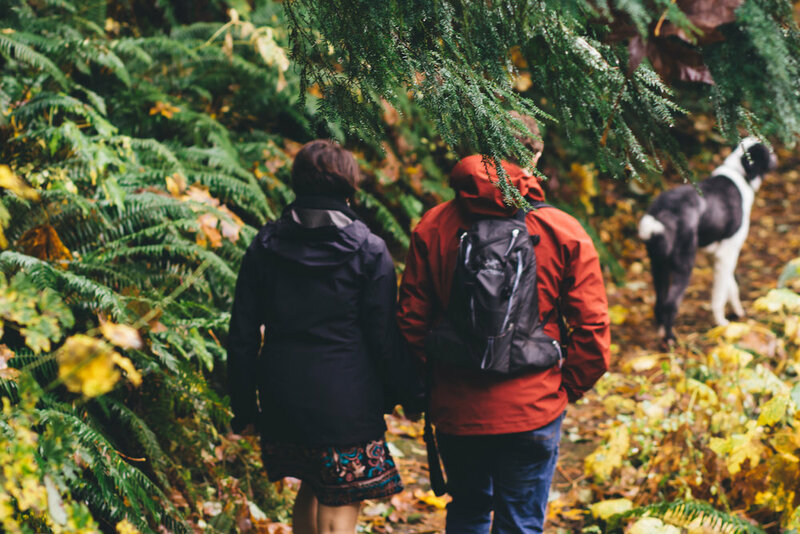 It was the perfect day to do a few of our favorite things - hike, photograph, and spend time with great people. 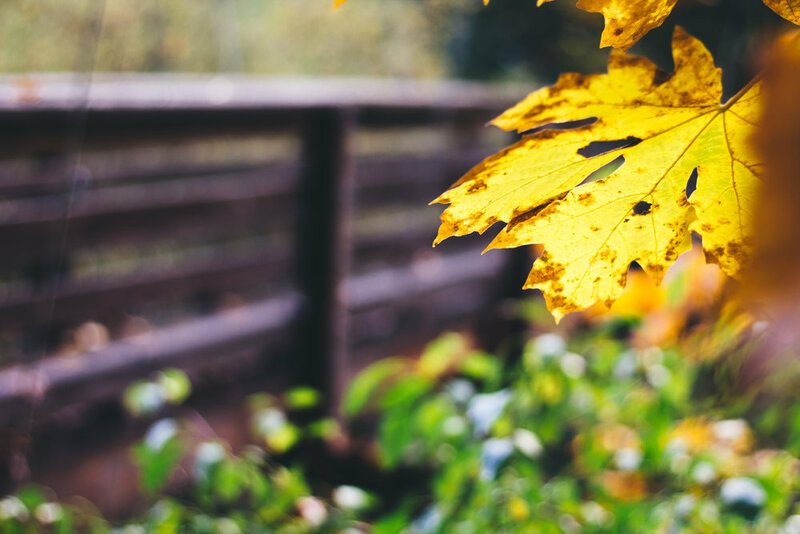 We met Claire, Bennett and Trek at the Eagle Creek Trailhead in the Columbia River Gorge, where we hiked around the creek, finding the perfect spots to take photos amongst the gorgeous fall scenery. 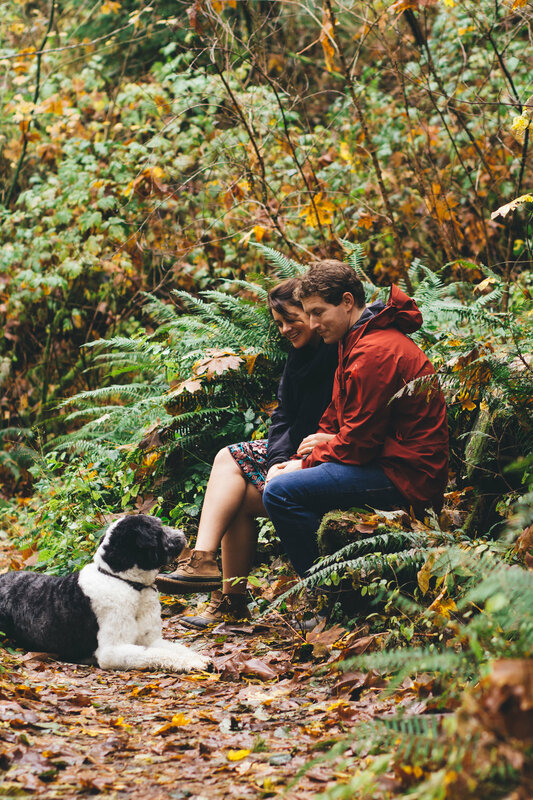 They wanted their Columbia River Gorge Engagement photos to showcase their relationship: their fondness for hiking, their playful nature, their sense of adventure, and their love for their sweet fur baby Trek. 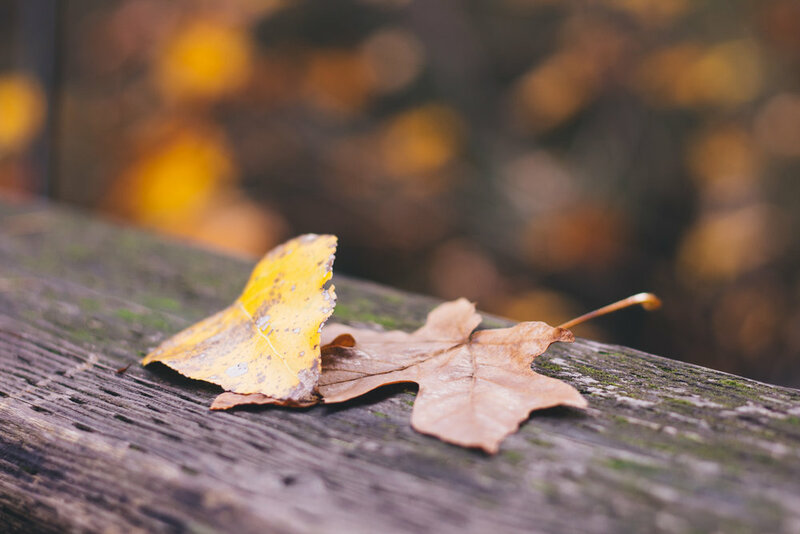 We are so grateful to be surrounded by beautiful scenery and wonderful people (and animals!). 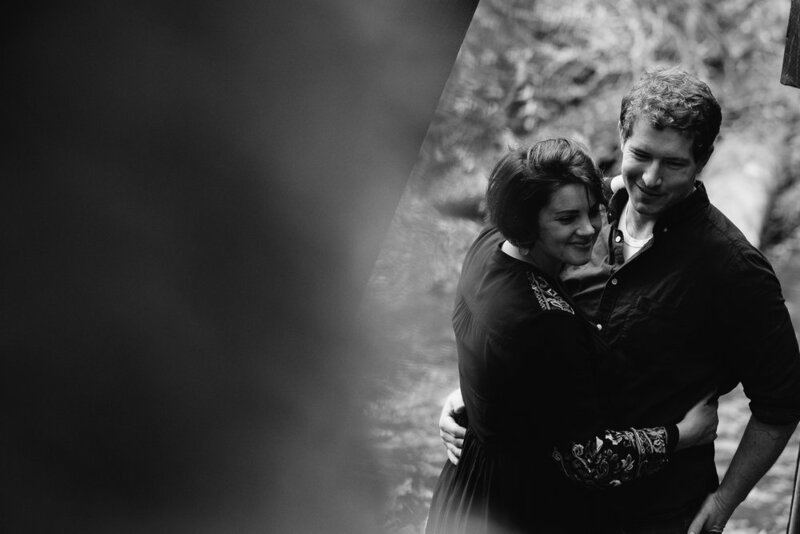 Hope you enjoy this lovely Columbia River Gorge Engagement Session at Eagle Creek!